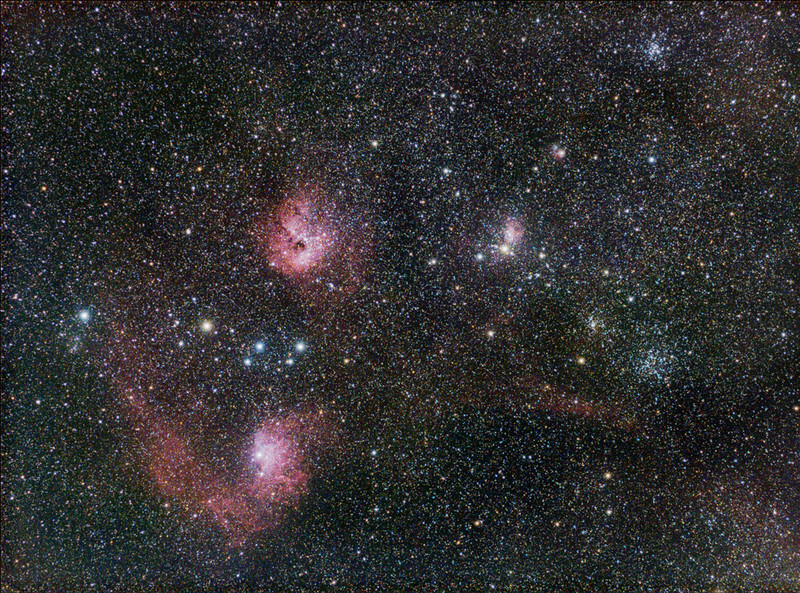 An approximately 7 degree wide shot of Auriga including the nebulae IC 405 and IC410, as well as several open clusters. I really fought with the light pollution on this one and didn't quite handle all the color issues. However there is quite alot of nebulosity in this area so it turns out to be a much nicer shot than I had original thought it would be.